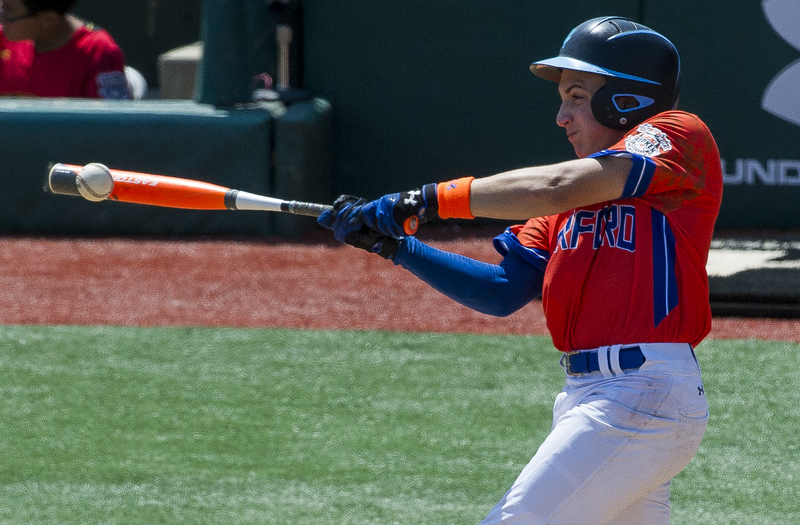 As the host team at the Cal Ripken World Series, Harford County is always a fan-favorite in the tournament. However, in past tournaments, the success hasn’t match the fanfare. This year the team on the field has backed up the noise in the stands. The Hickory Hornets won the Opening Game of the World Series last Friday night against Team Mid-Atlantic from Bear, Del., 5-1. They then racked up wins of 8-1 against Team Ohio Valley from Homewood, Ill. and 8-2 against Team Midwest Plains from Denver, Colo. 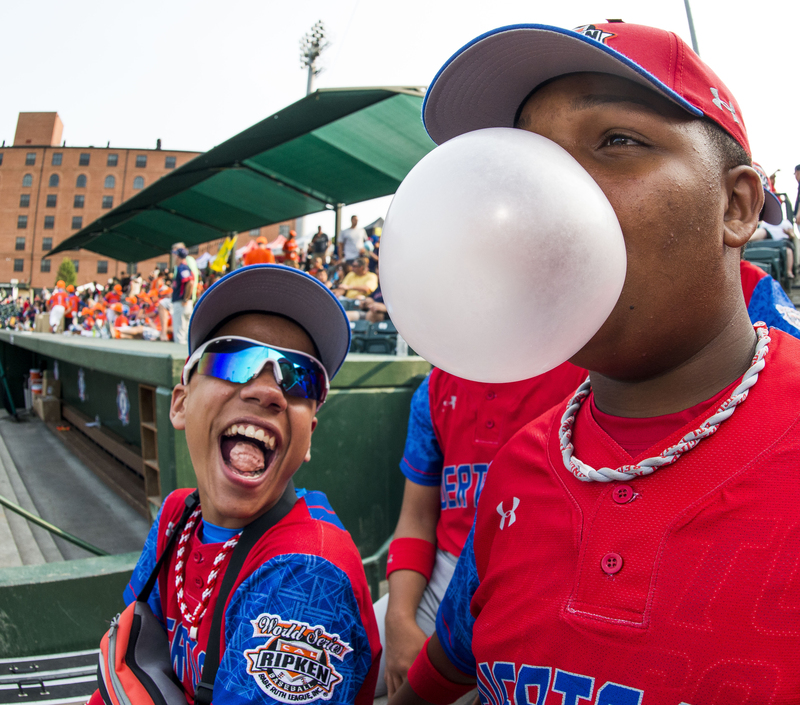 They dropped their final game of Pool Play to Team Southeast, the eventual Group B Champs, and were forced to play the unbeaten Pool A champs from Prince George’s County, Maryland. In a wild, back and forth affair, Harford County slugged their way to an 11-9 win to advance to their first-ever U.S. Championship. In the U.S. Championship game on Friday at 5:30 at Cal, Sr.’s Yard, Hickory will get a rematch against the only team to beat them in the 2014 World Series, Team Southeast. Friday, August 15, 5 PM, Cal, Sr.’s Yard, The Ripken Experience Aberdeen Powered by Under Armour. In the International Pool Play, the three-time defending champions from Japan certainly looked the part of a team ready to take home their fourth straight crown. They rolled to an 11-1 victory over Team Canada in their opener and then destroyed Team Dominican Republic 31-0. They squeezed out a 4-3 win over Team Mexico before clinching the top spot in the pool with a 6-2 victory over Team Puerto Rico. In the International Semi-Finals, they cruised to a 5-0 win over the Republic of Korea to advance to yet another International Championship Game on Friday. Team Mexico dropped their first game of the World Series to Australia, 6-2, and found themselves in dire straits in their remaining games. After shutting out New Zealand 10-0, they dropped a hard-fought out-of-pool game against Japan, 4-3. In their final pool play game, needing a convincing win to advance, they routed Team Korea 13-0 to capture the top seed out of Pool D. They then defeated World Series newcomers Puerto Rico, 2-1, in a thrilling International Semi-Finals to earn a rematch against Team Japan in the International Championship. 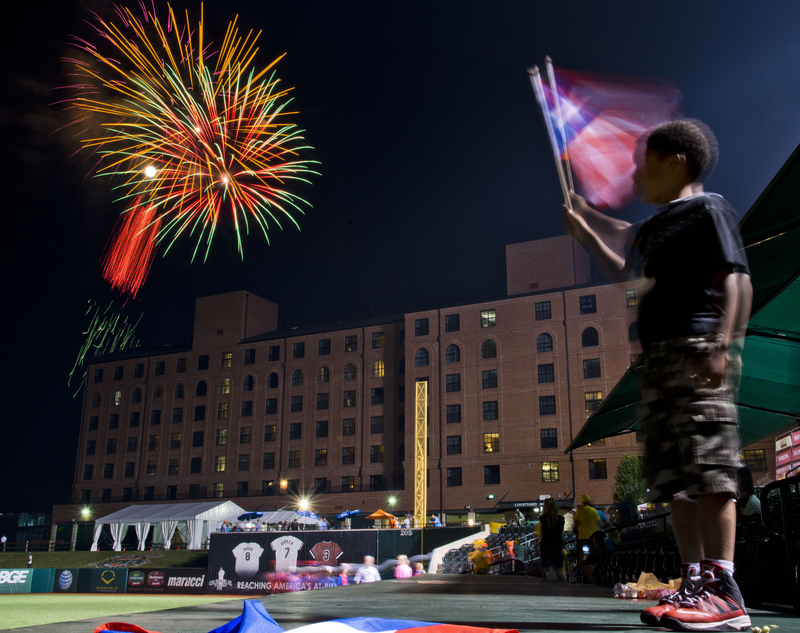 Friday, August 15, 7:30 PM, Cal, Sr.’s Yard, The Ripken Experience Aberdeen Powered by Under Armour. The World Series Championship Game will be played on Saturday, August 16 at 8:00 PM. The game will be televised LIVE on CBS Sports Network with commentary from Baseball Hall of Famer, Cal Ripken, Jr. The inaugural Under Armour Futures Game will take place Saturday at 5:00 PM at Cal, Sr.’s Yard and airs Sunday, August 17 at 2 PM on CBS Sports Network.